Part II: Syria, Libya, and beyond, Globalists prepare for second phase. For Part I please see "Brookings' "Which Path to Persia?"" Bangkok, Thailand May 18, 2011 - While the "easier" nations of Tunisia and Egypt were picked apart by foreign-funded color revolutions, the global corporate-financier oligarchs knew well in advance nations like Libya, Syria, and Iran would be fundamentally different. 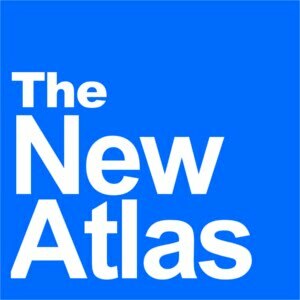 Nations including Belarus, Pakistan, Myanmar, and Thailand, come next, posing similar hurdles, and of course Russia and China remain at the end of the road and will require the most vigorous of all campaigns to effect regime change and assimilate them into the Wall Street/London corporate-financier dominated "international community." For all intents and purposes this is the final battle between nation-states and this abhorrent, illegitimate "international community." The battle is building up to what many geopolitical analysts call World War III, but with an insidious twist. It is a battle where festering imperial networks operating under the guise of "civil society" and "NGOs" are turning populations against their governments and serving as impetus to usher in stooge replacements. National institutions will be supplanted by this global "civil society" network, which in turn will interface with contrived international institutions like the parasitic IMF, the World Bank, and the increasingly farcical United Nations. The revolutions in Tunisia and Egypt were meant to serve as the moral and rhetorical backdrop for successive and increasingly more violent and costly campaigns against Libya, Syria, and Iran. In Libya's case, nearly 30 years of on-and-off armed insurrection, fully backed by the US, UK, and America's Arabic foreign legion of Al Qaeda have defined the campaign against Qaddafi. When the call was made on February 17, for a "Day of Rage" by Libyan leaders exiled in London, war was already a foregone, fully provisioned conclusion. So too are operations against Syria and Iran. These are admitted facts articulated clearly within the global elite's own think-tanks and parroted verbatim by the feckless puppets that constitute the governments of the West. Laying to rest any doubt regarding the global elite's designs toward the remaining sovereign nation-states of the world, is the Brookings Institution's "Which Path to Persia?" report. Previously covered, the report has more meaning now than ever, defining verbatim the approach, the tactics and the outcomes expected in this next, decidedly more violent phase of geopolitical reordering worldwide. We can see the stratagems and methodology defined within this report have played out not only in Iran, but in Libya and Syria as well, with preparations and posturing being made in regards to targets further along China's "String of Pearls" and along Russia's vast borders. As we reexamine this treacherous plot, funded by some of the largest corporations and banking interests on earth, we can see the playbook the global elite have been clearly using, starting in Iran, and creeping its way toward Moscow and Beijing. Understanding this report, disseminating it to both the people beneath the governments criminally pursuing it and those desperately defending against it, may balk what is perhaps the greatest attempted geopolitical reordering in human history. Virtually a handbook for overthrowing nations, the 156 page report focuses on effecting regime change within Iran. However, it is quite clear it draws on a body of knowledge derived from the Anglo-American empire's long history of fomenting unrest, division, insurgencies, coups, and regime change around the world. It is irrefutable proof that the global elite, not our legislators, are the arbiters of Western foreign policy. It is also irrefutable proof that indeed the global elite are capable and willing to foment popular street protests, use murderous terrorism against sovereign nation-states, buy off treasonous legions within a foreign military to effect coups, and use violence of their own creation as a pretext to intervene with full military force. Sanctions, page 39 (page 52 of PDF): "For those who favor regime change or a military attack on Iran (either by the United States or Israel), there is a strong argument to be made for trying this option first. inciting regime change in Iran would be greatly assisted by convincing the Iranian people that their government is so ideologically blinkered that it refuses to do what is best for the people and instead clings to a policy that could only bring ruin on the country. The ideal scenario in this case would be that the United States and the international community present a package of positive inducements so enticing that the Iranian citizenry would support the deal, only to have the regime reject it. In a similar vein, any military operation against Iran will likely be very unpopular around the world and require the proper international context—both to ensure the logistical support the operation would require and to minimize the blowback from it. The best way to minimize international opprobrium and maximize support (however, grudging or covert) is to strike only when there is a widespread conviction that the Iranians were given but then rejected a superb offer—one so good that only a regime determined to acquire nuclear weapons and acquire them for the wrong reasons would turn it down. Under those circumstances, the United States (or Israel) could portray its operations as taken in sorrow, not anger, and at least some in the international community would conclude that the Iranians “brought it on themselves” by refusing a very good deal." Regime change and perhaps even military operations against Iran are talked about as a foregone conclusion, with Brookings using the pretext of sanctions as merely a means of incremental escalation to tip-toe the world into backing regime change, including war with the nation if need be. This is exactly what has been done in regards to Libya, with disingenuous humanitarian concerns translated into a no-fly zone, which incrementally transitioned into attacks on Qaddafi's ground forces, targeted assassinations against Qaddafi himself, and now talk of destroying civilian infrastructure and a full-out ground invasion. A repeat scenario is playing out in Syria where foreign-fueled violence is being used as a means to engage in broader intervention. While Western governments feigns inaction and hesitation in the face of a bloodbath they themselves instigated, in reality they are creating the same sense of "bringing it upon themselves" for Syria as Brookings talks about in regards to Iran. Justifying Invasion, page 65 (page 78 of the PDF): "If the United States were to decide that to garner greater international support, galvanize U.S. domestic support, and/or provide a legal justification for an invasion, it would be best to wait for an Iranian provocation, then the time frame for an invasion might stretch out indefinitely. With only one real exception, since the 1978 revolution, the Islamic Republic has never willingly provoked an American military response, although it certainly has taken actions that could have done so if Washington had been looking for a fight. Thus it is not impossible that Tehran might take some action that would justify an American invasion and it is certainly the case that if Washington sought such a provocation, it could take actions that might make it more likely that Tehran would do so (although being too obvious about this could nullify the provocation). However, since it would be up to Iran to make the provocative move, which Iran has been wary of doing most times in the past, the United States would never know for sure when it would get the requisite Iranian provocation. In fact, it might never come at all." This is nothing less than US policy makers openly talking about purposefully provoking a nation in order to justify a full-scale invasion that would otherwise be untenable. If such treachery at the cost of thousands of American lives and perhaps millions of Iranian lives is openly talked about within the halls of these corporate-funded think-tanks, what do they talk about that isn't on record? For those who reject out-of-hand the notion that 9/11 was an inside job, on grounds that Western policy makers are not capable of such a horrific calculus, the evidence is here, starring back from pages of this Brookings Institution report for all to see and to come to grips with. In Libya, provocations for NATO bombardment were a rash of entirely unverified reports coming from the rebels themselves and verified lies about aircraft strafing unarmed protesters. With the targeted assassination of Qaddafi resulting in the death of his son and three of his grandchildren, NATO appears to have taken "actions that might make it more likely" for Qaddafi to be provoked into justifying some sort of wider NATO ground invasion. If the litany of lies that set the groundwork for the current NATO campaign is any indication, even if Qaddafi does nothing, a provocation will be manufactured for him. With the operations against Syria still in their opening phases, we can be sure as military options are brought to the table, so will appropriate provocations, induced or manufactured. 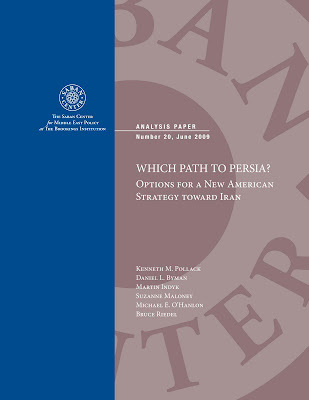 An Iranian Sponsored 9/11 and a change of leadership throughout the Middle East, page 66 (page 79 of the PDF): "Most European, Asian, and Middle Eastern publics are dead set against any American military action against Iran derived from the current differences between Iran and the international community—let alone Iran and the United States. Other than a Tehran-sponsored 9/11, it is hard to imagine what would change their minds. For many democracies and some fragile autocracies to which Washington would be looking for support, this public antipathy is likely to prove decisive. For instance, Saudi Arabia is positively apoplectic about the Iranians’ nuclear program, as well as about their mischief making in Lebanon, Iraq, and the Palestinian territories. Yet, so far, Riyadh has made clear that it will not support military operations of any kind against Iran. Certainly that could change, but it is hard to imagine what it would take. Given that this situation has not been enough to push the GCC to support military operations against Iran, what would? Certainly Iran testing a nuclear device might, but at that point, it almost certainly would be too late: if the United States is going to invade Iran, it will want to do so before Iran has developed actual nuclear weapons, not after. It is hard to know what else Iran could do that would change GCC attitudes about the use of force unless new leaders took power in the Gulf who were far more determined to stop Iran than the current leadership is." Quite obviously, "new leaders" are taking power throughout the Gulf now via the US-created "Arab Spring," with Saudi Arabia being tacitly threatened with destabilization in Bahrain and Yemen, while Iran's axis of influence through Syria and into Lebanon is being destabilized. Egypt and Northern Africa are being thrown into precarious political chaos as well, with globalist puppets poised to take over and eagerly pursue any dictate coming from Washington. This confirms the worst fears of geopolitical analysts like Dr. Webster Tarpley who predicted as far back as mid-February 2011 that the US-created "Arab Spring" was an attempt at reordering the Middle East against Iran and eventually against China and Russia. This suggests that this option might benefit from being held in abeyance until such time as the Iranians made an appropriately provocative move, as they do from time to time. In that case, it would be less a determined policy to employ airstrikes and instead more of an opportunistic hope that Iran would provide the United States with the kind of provocation that would justify airstrikes. However, that would mean that the use of airstrikes could not be the primary U.S. policy toward Iran (even if it were Washington’s fervent preference), but merely an ancillary contingency to another option that would be the primary policy unless and until Iran provided the necessary pretext." Here we see again, the plotting of a deceitful gambit to goad a sovereign nation into war, a nation Brookings notes time and time again has no interest in armed conflict with the United States. Also notice the first mention of "covert regime change efforts" used as a means to apply sufficient pressure to exact a particular reaction used for further political escalation and subsequent military intervention. Such a gambit has been recently used in Libya and now in Syria where foreign-support created violence, to which regimes were forced to react to - the subsequent violence then serving as an impetus for expanded US intervention. Brookings notes that such goading must be done in such a way so as to not raise suspicions of the "game" throughout the world. Hopefully, as people read this written and signed confession of criminal conspiracy, they will never fall for this "game" again. Beyond this, U.S.-backed media outlets could highlight regime short comings and make otherwise obscure critics more prominent. The United States already supports Persian-language satellite television (Voice of America Persian) and radio (Radio Farda) that bring unfiltered news to Iranians (in recent years, these have taken the lion’s share of overt U.S. funding for promoting democracy in Iran). U.S. economic pressure (and perhaps military pressure as well) can discredit the regime, making the population hungry for a rival leadership." Here Brookings makes outright calls to create the conditions within Iran, or any target nation for that matter, that are more likely to create unrest. They then call for funding and organizing that unrest and using domestic, and quite obviously foreign media to manipulate public perception and perpetuate US-backed propaganda. We see this in nearly every country targeted for destabilization, generally funded by organizations like the National Endowment for Democracy (NED), so-called "independent media" organizations and human rights NGOs that "make otherwise obscure critics more prominent." The NED-funded Project on Middle East Democracy is one such propaganda outlet operating throughout the Middle East, propagating the official US narrative in regards to unrest fomented from Egypt to Syria. Voice of America is openly mentioned by Brookings within this report, while examples in Eastern Europe include Radio Free Europe, a subsidary with VOA under the Broadcasting Board of Governors upon which Secretary of State Hillary Clinton sits as a member. Also note worthy is Southeast Asia's NED-funded Prachatai of Thailand. Together this nefarious global network feeds the mainstream, corporate-owned media their talking points which are then repeated verbatim or cited outright as reputable sources. It should be remembered though, that within the 156 pages of the "Which Path to Persia?" report it is explicitly and often stated that these gambits are to protect and expand US interests throughout the region while diminishing Iran's ability to challenge said interests in any shape, form, or manner - not promote democracy, protect freedom, or even protect America from a genuine security threat. Quite clearly, after previously conspiring to implement foreign-funded unrest, the predictable crackdown by Iranian security forces to restore order "requires" some form of deterrent or military support to be employed to prevent the movement from being crushed. We see that this exact scenario has played out verbatim in Libya, where "protesters" were in fact armed rebels from the very beginning, the recipients of decades of US and UK support, and shortly after their rebellion began, NATO forces were brought in via a clumsy series of staged pretenses to prevent the armed uprising from being crushed by Qaddafi's forces. A lead-up to the exact same scenario is playing out in Syria, where US and UK puppet politicians are menacing the Syrian government with threats of military intervention under the "Libyan Precedence." We see in reality, this "precedence" had been clearly articulated in this 2009 report, and is based on a familiar "problem, reaction, solution" methodology used by imperialists throughout human history. In both Libya, Syria, and Yemen, and in other immovable targeted nations like Thailand, armed militants are brought in by opposition groups to augment street protests. Often these armed elements are brought in without the knowledge of the protesters themselves, and in some cases, especially in Syria and Yemen, it appears armed groups of "mystery gunmen" are clashing with both security forces and protesters in order to escalate violence and unrest further. Should the escalating violence fail to tip the balance in the protesters' favor, the violence itself will become the pretext for the next level of more overt US intervention. Arming, Funding, and Using Terrorist Organizations, page 113 (page 126 of the PDF): "The United States could work with groups like the Iraq-based National Council of Resistance of Iran (NCRI) and its military wing, the Mujahedin-e Khalq (MEK), helping the thousands of its members who, under Saddam Husayn’s regime, were armed and had conducted guerrilla and terrorist operations against the clerical regime. Although the NCRI is supposedly disarmed today, that could quickly be changed." Certainly if the United States went through with arming and funding MEK (and they apparently did), they themselves would become "state sponsors of terrorism" - even as they fight amidst a decade long war against supposedly just that. MEK is unequivocally a terrorist organization that murders and maims civilians indiscriminately along with their political opponents. MEK is even on-record having targeted and murdered Americans. Yet for some reason, they are considered a potential proxy, and considerations for their removal from the apparently meaningless "foreign terrorist organizations" list, is based solely on their utility toward advancing US foreign policy. With this we are given full insight into the unfathomable depths of depravity from which the global elite operate from. It turns out that the degenerates behind "Which Path to Persia?" including Kenneth Pollack, Daniel Byman, Martin Indyk, Susanne Maloney, Michael O'Hanlon, and Bruce Riedel, most of whom are regular contributors to the US's largest newspapers, would see their plans brought to life. According to Seymour Hersh's New Yorker article "Preparing the Battlefield," MEK had already been receiving weapons and funding as of 2008 for the purposes described within the Brookings report that would come out a year later. It would seem even as "Which Path to Persia?" was being compiled many of the options on the table had already gone operational. Baluchi rebels residing in eastern Iran and western Pakistan were also mentioned in both the Brookings report and Hersh's article. US support for this group is quite ambitious. In addition to using them in terrorist operations against Tehran, they are also being built up and directed toward destabilizing and Balkanizing Pakistan. Staging a Coup, page 123-124 (page 136-137 of the PDF): "Mounting a coup is hard work, especially in a state as paranoid about foreign influence and meddling as Iran is. The United States would first have to make contact with members of Iran’s military (and likely its security services as well). This by itself is very difficult. Because of Iranian hypersensitivity to Americans, the United States would likely have to rely on “cutouts”—third party nationals working on behalf of the United States—which invariably introduces considerable complexity. Then the United States would have to use those contacts to try to identify Iranian military personnel who were both willing and able to stage a coup, which would be more difficult still; it would be hard enough for Americans to make contact with Iranian military officers, let alone make contact with those specific individuals willing to risk their lives and their families in a coup attempt. Of course, it is possible that if Washington makes very clear that it is trying to support a coup in Iran, the coup plotters will reach out to the United States. But this is very rare: history shows that coup plotters willing to expose themselves to another national government are usually discovered and killed; furthermore, most of those coming to the United States to ask for help overthrowing this or that government tend to be poseurs or even counterintelligence agents of the targeted government." "Although many coups are homegrown, one obvious historic model of a foreign-assisted coup in Iran is Operation Ajax, the 1953 coup d’état that overthrew the government of Prime Minister Mohammed Mossadeq and reinstated the rule of Shah Reza Pahlavi. To carry out the coup, the CIA and British intelligence supported General Fazlollah Zahedi, providing him and his followers with money and propaganda, as well as helping organize their activities." The uprisings in Tunisia and Egypt were apparently assisted by members of the military, with similar defections being sought out in Libya and Syria to help along the collapse of the embattled regimes. Nations of Western interest might want to take time to reevaluate military officers who have had historically close ties to the United States or who have reason or possible motivations for turning on their nation during a spate of foreign-engineered upheaval. It is inconceivable that one could read the pages of "Which Path to Persia?" and not understand the current "international community" as anything less than absolutely illegitimate. They contrive a myriad of laws with which to restrain and eliminate their competition with while they remain entirely uninhibited themselves in their own overt criminality. We also understand that the United States is not engaged in diplomatic relations with the world's nations as envisioned by America's Founding Fathers, but rather engaged in extorting and coercing the world to conform to it's "interests." This report represents a full array of options not only for use in Iran, but throughout the world. In hindsight of the US-funded "Arab Spring" it is quite obvious that the methodology laid out in the report has been drawn on to destabilize and depose regimes as well as instigate wars of aggression. Upon studying this report, its implications for Iran and the surrounding region, we can understand better conflicts yet to unfold beyond North Africa and the Gulf. It is essential that reports like this are made public, their methodology exposed, and the true architects behind Western foreign policy revealed. As the report itself states numerous times, the vast majority of their gambits require secrecy, "plausible deniability," and that their dark deeds be done "without the rest of the world recognizing this game." The world must realize who the true brokers of power are, and that by understanding their agenda, we can wholly reject it and pursue instead one of our own, locally, self-sufficiently, independently, and in true freedom.